The new Nokia 6 (2018), which was being one of the much-awaited phones of 2018 has finally launched in the country a couple of days ago and is finally available for purchase. To start the sales, Nokia has also put their own online shop – the Nokia Mobile Shop. The phone which was initially launched in China in the month of January as a successor to the first generation Nokia 6. HMD Global had previously announced the Nokia 6 (2018) during their MWC 2018 presentation. 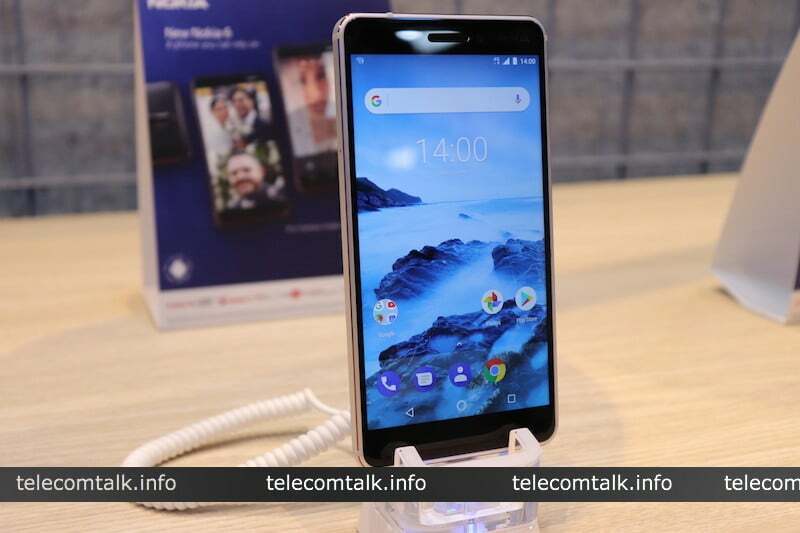 This phone by Nokia boasts of some impressive qualities like the Series 6000 aluminium and is a smartphone which comes under Android One program. 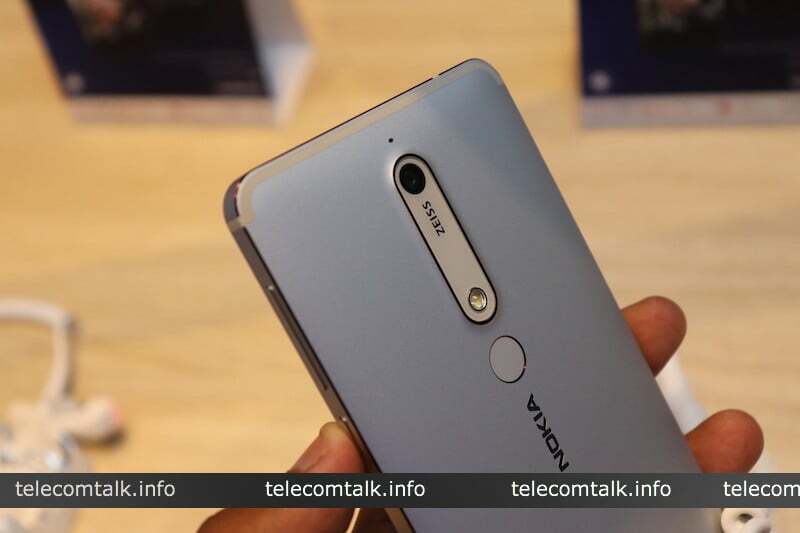 The Nokia 6 (2018) edition ships at the price of Rs 16,999. Out of the two variants which have been promised by HMD Global, only the 3GB/32GB variant is available in the stores right now. This device faces some serious competition from the Xiaomi manufactured Redmi Note 5 Pro and the Moto G5S Plus. Nokia has really accommodated the choice of many users and offers a large range of colours for this device – Black/ Copper, White/ Iron, and Blue/ Gold. The Nokia 6 (2018) will be available on the Nokia Mobile Shop and select mobile outlets like Sangeetha, Poorvika, Big C, Croma, and Reliance stores etc. 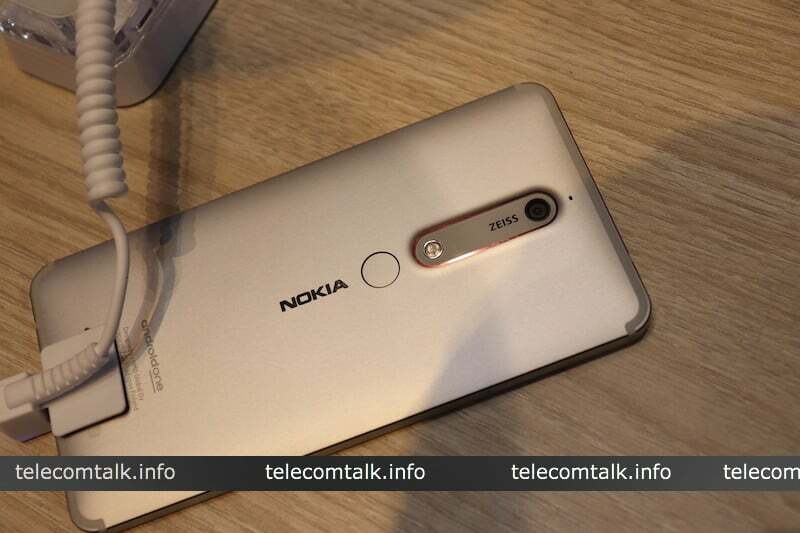 To increase the sales of the device and to propel larger attention towards it, a handful of offers by telecom operators have also been launched for the Nokia 6 (2018). One of them is the offer from Airtel which is giving a Rs 2,000 cashback on the phone which brings its effective price down to Rs 14,999. Customers who buy this offer also get an Airtel TV app free subscription until December 31, 2018, while others will get the subscription until June 30, 2018. Besides this, customers under this offer will also be eligible for 25% off on hotel bookings in the MakeMyTrip app. Also, Nokia 6 (2018) customers will be eligible for a complimentary 12-month Accidental Damage Insurance by Servify which can be redeemed after opening a Kotak 811 savings account and activating it. Talking about the EMI schemes for the same phone, the phone can be bought by Bajaj Finserv and Home Credit ICICI, which will also provide the customers with 5% cashback if they make a purchase before May 31, 2018. The latest Nokia 6 2018 version is a dual SIM device which comes under the Android One program, because of this fact the Nokia 6 comes with Android 8.0 Oreo out of the box and has also been confirmed as a candidate for receiving regular security patches and platform updates. The smartphone sports a 5.5-inch full HD screen with 1920 x 1080 resolution. The display which comes with a IPS LCD panel and 16:9 aspect ratio offers a decent viewing experience and also offers Gorilla Glass protection against scratches. In terms of processing power, the Nokia 6 is driven by the Qualcomm Snapdragon 630 SoC which will be accompanied by either 3GB or 4GB of LPDDR4 RAM. The phone also offers the option of expandable memory besides the 32GB of storage via the microSD way. Only the 3GB RAM and 32GB variant is now available, but the 4GB RAM and 64GB variant will be available very soon. Nokia phones which have been acclaimed for coming with ZEISS optics lenses fashion the same on the Nokia 6 with the 16MP camera on the rear which comes with a dual tone LED flash, enabled by f/2.0 aperture and 1-micron pixels. For the selfie purposes, the front camera is an 8MP fixed focus shooter with 1.12-micron pixels and a f/2.0 aperture. The 2018 edition of the Nokia 6 offers decent audio quality with its spatial audio technology and two microphones. Also, the phone does have a 3.5mm headphone jack and supports 4G VoLTE, Wi-Fi 802.11ac, Bluetooth v5.0, FM radio, GPS/ A-GPS, USB Type-C (v2.0) for connectivity purposes. As for the dimensions, it measures 48.8×75.8×8.15mm and is powered by a 3000mAh battery which is claimed by the company to last 16 hours of talk time and 507 hours on standby. Stupid phone/camera, stupid pricing and stupid Nokia/HMD! Get ready for bankruptcy once gain! 4GB version at 15000 would have killed Xiaomi Redmi Note 5 Pro for sure!!!! What will you do of those updates when apps are stealing your data like paytm, if you want a good camera in this segment then your only option is Moto G series. If you want stock android software then only moto G series phones provide in under 20000 segment with CA. Moto G6 will be a superhit. Xiaomi Redmi Note 5 Pro is Gareebo ka iPhone. Motorola is unique.